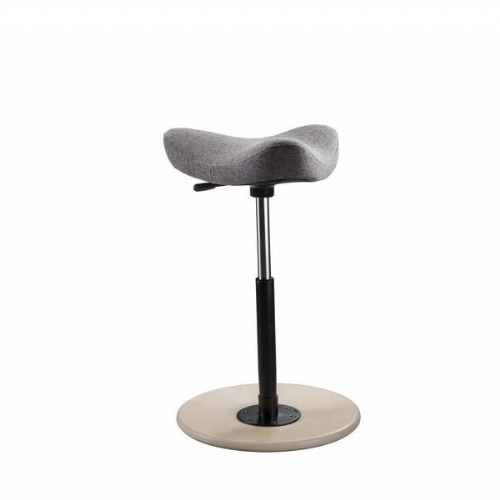 This Varier kneeling chair was designed by Peter Opsvik in 1979 - it was one of the original kneeling chairs. A Varier Variable kneeling chair is a design classic, the seat gently tilts the pelvis forward and encourages a natural, dynamic and upright spine. 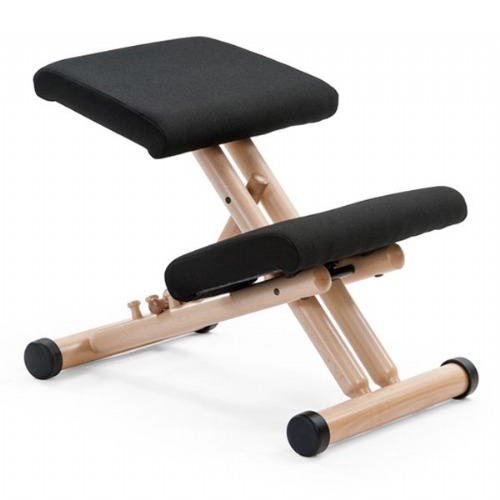 The Variable balans enables the body to move and react whilst working which reduces back pain. 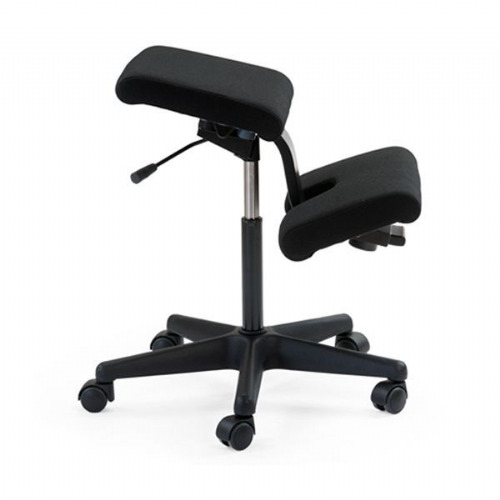 Using the Varier kneeling chair alleviates the build up of pressure on the knees that is usually associated with a long working day. 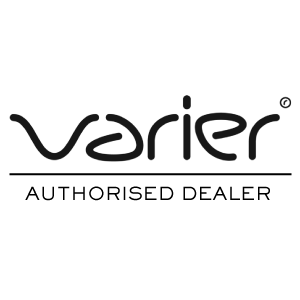 The Varier Variable is a flexible chair that can be used in a work environment but would also would fit perfectly into a bedroom, dining room or lounge scheme. This Varier kneeling chair has the ability to increase concentration and focus, therefore would be an ideal homework chair for children and can be modified to fit them perfectly. Our Varier kneeling chairs are available in multiple colours and with optional features, including adjustable backrests, different frame colours like natural and black lacquered ash. Varier kneeling chairs are made to order delivery is normally 4 - 5 weeks. We will inform you of the date of delivery prior to dispatch. Although we sell on the internet we like to think that people buy from people so why not call us to discuss your needs. We love to talk and advice is free: 01603 865582.